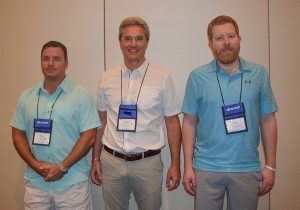 The National Insulation Association (NIA) announces the Theodore H. Brodie Distinguished Safety Award™ winners at its Annual Convention. The Theodore H. Brodie Distinguished Safety Award™ is NIA’s highest industry honor and the only national award for outstanding safety performance in the mechanical insulation industry. NIA created the award program in 2004 to recognize top companies that have established structured safety programs to ensure the well-being of their employees and create safe working environments. 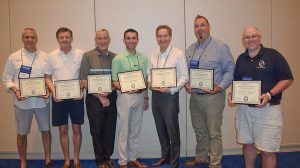 Winners were announced on April 4, 2019, at NIA's 64th Annual Convention in Nassau, Bahamas. Those who attended the award presentation are pictured below. You can visit NIA’s Facebook page to see photos of the previous Safety Award Winners.